In today’s busy world, online shopping is not just a lifesaver, it’s a way of life. While we love nothing more than having our guests visit us in the salon, we know online shopping makes your life easier on a daily basis. 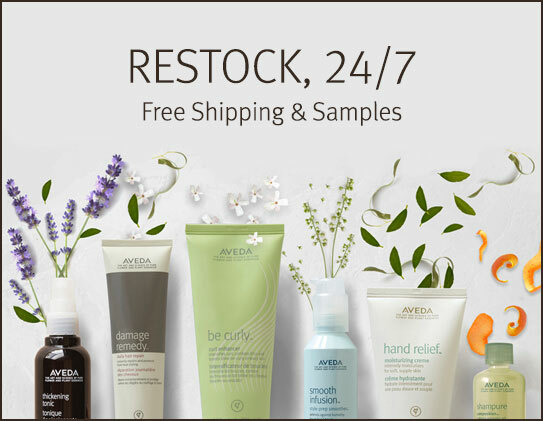 Now you can re-stock on your favorite Aveda products, anytime, anywhere. Please bookmark our link above—here’s 3 reasons why you’ll want to come back! Our salon gets credit for every purchase, so when you shop from our link, it’s just like you’re buying from our local, small business. Many people feel guilty about shopping online, knowing that online retail giants are hurting small local businesses. Consider this guilt-free online shopping. OK we mentioned the free shipping, but who doesn’t also love free samples? Now shipping with your products (based on availability), free samples are the kind of surprise we love, no matter what kind of day we’re having. Air Control on fumes this morning? Need to replenish your hostess gift stash? Now you can buy when you’re thinking about it, instead of waiting for your next visit. Free-up space on your mental to-do list, so you can focus instead on what’s more important in life, like enjoying the moment you’re in. Please save our link—happy re-stocking! Customize your skincare routine with this new addition to the Botanical Kinetics family: Botanical Kinetics Hydrating Treatment Lotion. Use it before your serum or moisturizer in the AM and PM for an instant dose of hydration. Hair color, balayage, men and women’s cuts, styling, updos, and wedding styles. Help us give local kindergarteners a brighter start to their first grade year! We have partnered with Southern Oregon Dress a Girl and will be accepting donations July 1st – 31st. Shoes, socks, underwear (each girl will receive a dress). *The Tea Party will take place on August 8th at the Medford YMCA from 1-4pm, offering supplies, a dress and hygiene kit to over 100 girls in Southern Oregon! Come in during the Month of June and take advantage of our Summer Kick-off Specials ! Summer is here, it’s time to get yourself ready for some fun in the sun! Nails: Receive a complimentary gel polish upgrade with any spa manicure or pedicure service! Mothers do so much for us and Mothers Day is a time to show them how much you appreciate them. Why not give them the gift of relaxation? In celebration of mothers everywhere, we are offering some great specials for Moms! These specials can also be applied to gift certificates! We have raised $1,975 for the Rogue River Keepers! We have one week left and $1,025 left to raise! Stop in to see what we are doing and how you can help! Schedule a Service for the Earth! Earth day is Wednesday April 22nd! To celebrate, Gervais is donating 15% of all service proceeds on the 22nd to the Rogue River Keepers! Schedule your appointment today! It is that time of year again… EARTH MONTH! Through the end of April, we have lots of fun planned! We will be offering some extra services and sample products for donations that will go to our partners at the Rogue River Keepers! Please stop in and see how you can participate! We are also selling our earth month candles with the spicy Madagascar aroma for $12. 100% of the sales go to the Global Green Grants Foundation which gives families without plumbing access to clean water! Gervais wishes all of our guests a very Happy New Year! In celebration of 2015, we will be offering some amazing specials for the month of January! Take advantage of these deals and get a New You for the New Year! And our Massage Therapists would like to offer 50% off any body treatment with any 60 minute+ massage. Cannot be combined with other NON-NEW YEAR specials or discounts. Please mention special when booking your appointments. Offers valid through January 31st 2015. Thank you! 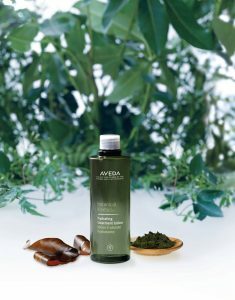 Gervais Day Spa & Salon is a proud AVEDA salon. To learn more about AVEDA's core values and activism and why we are pleased to be associated with AVEDA, visit the links below. 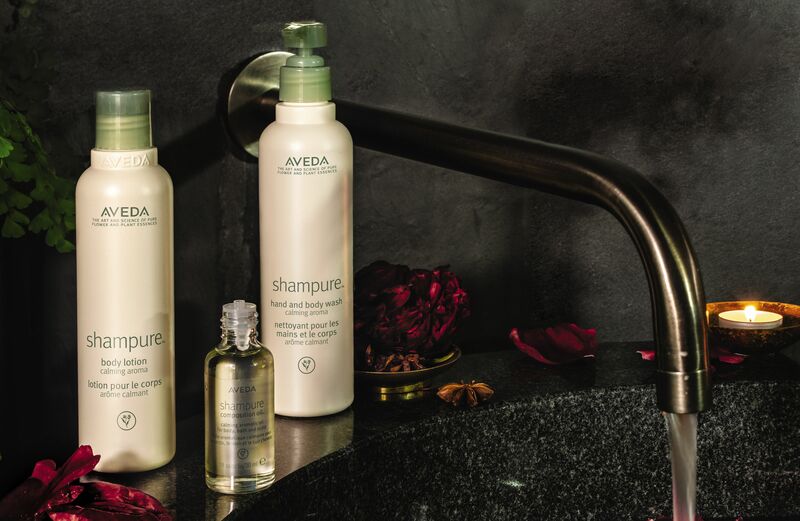 Click here to see professionally prepared AVEDA videos for how-to and step by step use of Aveda products.